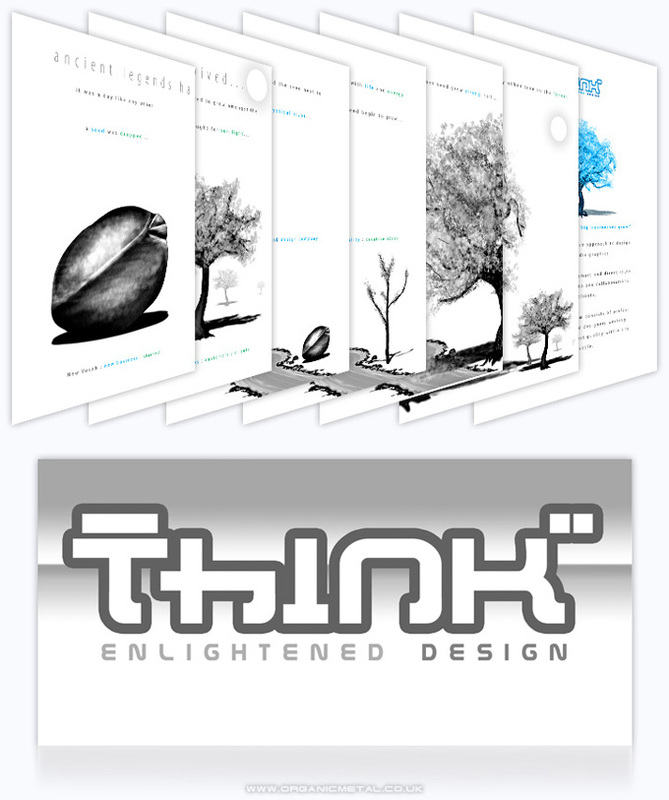 'Think' is a conceptual design agency. I thought if I were creating a design agency for myself, what would my identity be like? Being a fan of things Japanese, I decided on designing a contemporary Katakana-like, graffiti styled logo. Then I worked on an eight sided brochure which was as much an illustrated story than anything- a tale of how a seed (customer) sprouts near a life-giving river (Think design) which causes it to grow into the biggest tree (business) in the forest (industry sector).